Ubuntu will no longer support 32-bit ISO images going forward, starting from the Ubuntu 17.10 release. Computers long ago now mainly had 2-bit processors and they were replaced with 64-bit processors. All computers you buy nowadays, including your laptops should be fitted with a 64-bit processor. Even the original Surface Pro came with one. 64-bit processors can handle tasks much easier. 32-bit processors would start to struggle if you had too many browser tabs open, for example, whereas 64-bit processors wouldn’t even flinch with several browser tabs open, and various other apps open. 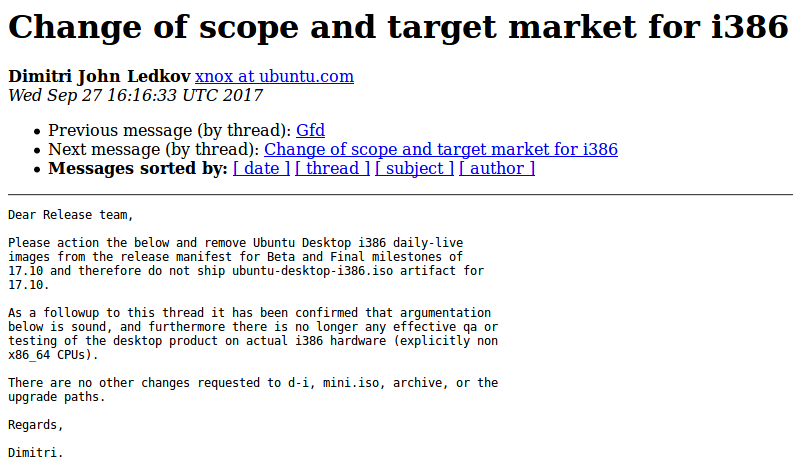 Most major Linux distributions have decided it’s time to stop supporting 32-bit ISO imaged for people to install recently, and now Ubuntu has joined in with that thought. Ubuntu is the largest Linux distribution, and that might have factored into the decision to support these 22-bit ISO images for longer than most other distributions. Images from the release manifest for Beta and Final milestones of 17.10 and therefore do not ship ubuntu-desktop-i386.iso artifact for 17.10. As a followup to this thread it has been confirmed that argumentation below is sound, and furthermore, there is no longer any effective QA or testing of the desktop product on actual i386 hardware (explicitly non x86_64 CPUs). There are no other changes requested to d-i, mini.iso, archive, or the upgrade paths. Regards, Dimitri. The email sites a change in scope and target market as the defining reasons for stopping the 32-bit images. In other words, most people are now well and truly running computers with 64-bit processors, and that isn’t likely to change. What’s more, it’s highly recommended that you make the change as soon as you can afford to if you haven’t already because the 64-bit processors are considerably better. 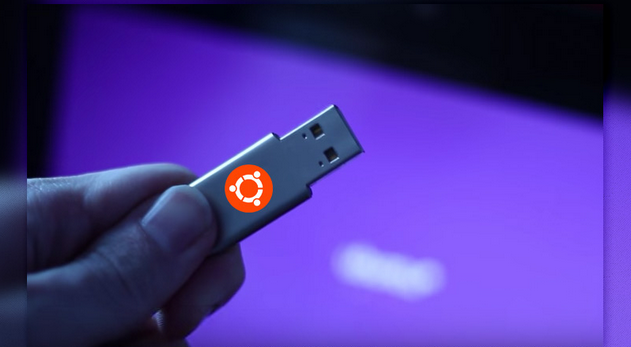 The change from Ubuntu means that anyone using the older hardware with 32-bit is going to be forced to changed distributions to one that still supports 32-bit computers or continue using the version of Ubuntu that you are using now and not have the chance to upgrade until you buy that new computer that has the 64-bits. The Manjaro Linux distribution was the first major one to break the news about no longer supporting 32-bit ISO images, and there will presumably be more distributions following suits soon. The news shouldn’t be a huge concern for most because the vast majority of people are already running the 64-bit processors. Linux wouldn’t be canceling the 32-bit images otherwise. It’s also possible that you might be running a 32-bit of the operating system when you could be running a 64-bit version instead. People commonly make that mistake when doing things like installing web browsers such as Google Chrome. For some strange reason, Chrome seems to be hell-bent on offering the 64-bit version of the browser at the bottom of the download page instead of the primary link at the top that most people click on. As such, voluminous amounts of people are running a 32-bit version of Chrome on 64-bit computers. Try not to make the same mistake with your operating systems.